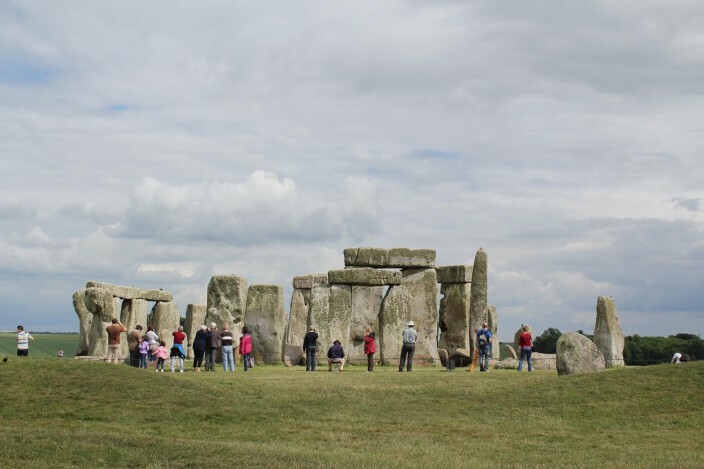 Stonehenge opens in the afternoon following a major morning clear up. Mark needs the time on his silverpoint drawing and we know that the longest day of the year won’t be too busy because the pre-publicity for today says there’s a likelihood the site will be closed. The clear up is apparent in the fields around and in the car park, but the monument itself is calm and gloriously empty. Yes there are visitors, but it’s relaxed and the numbers are barely into the hundreds. The skylarks are at full throttle and the rooks and jackdaws are milling about the site. The young brown starlings fly in and cluster on the tops of the stones, people are lying out on the grass, especially on the newly opened western summer walkway. Whatever went on here last night, there is no real sign of it anymore. The grass in the centre of the ancient circle is obviously wrecked but otherwise, all is as it should be.